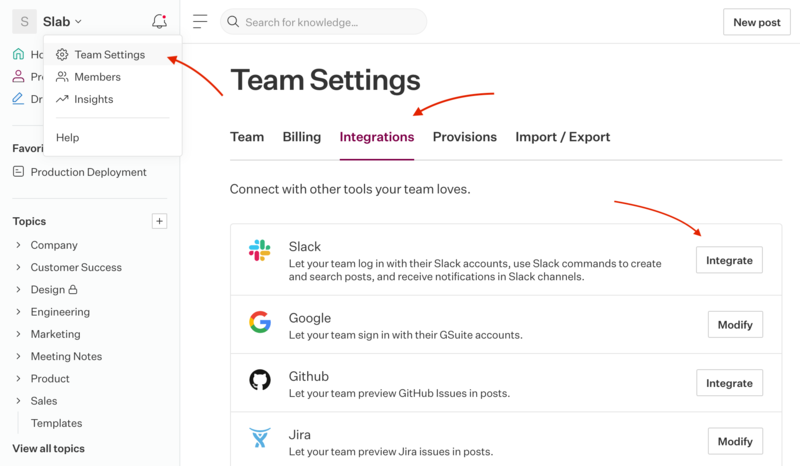 Our deepest integration, designed to keep your team on the same page. Note: You need to be a team admin to enable this integration. Head to the admin dashboard by clicking Manage Team in the top left dropdown, then click on Integrations. In the Slack row, clicking on Integrate will take you through the OAuth flow to connect your Slack account. Use the /slab command to search for posts and share the result directly in the channel. Need to start a new post? 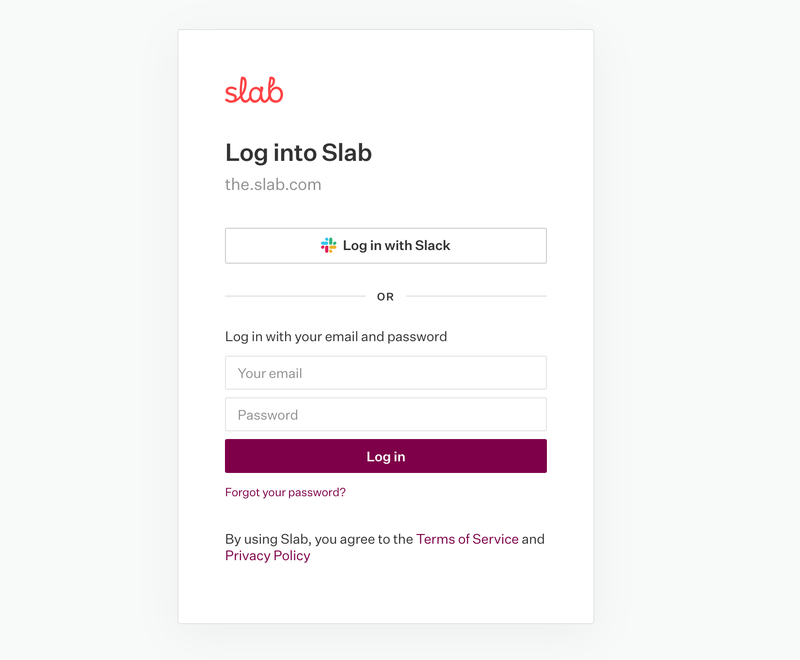 Use /slab create [name]. 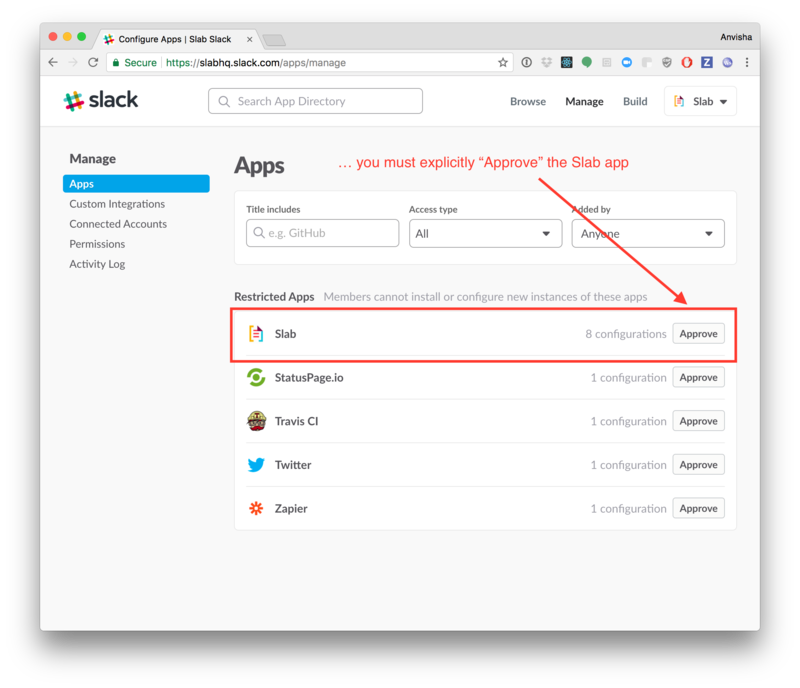 In the integration settings, you can specify a Slack channel and we'll send updates about new posts as they are published. Important team knowledge often ends up in Slack. 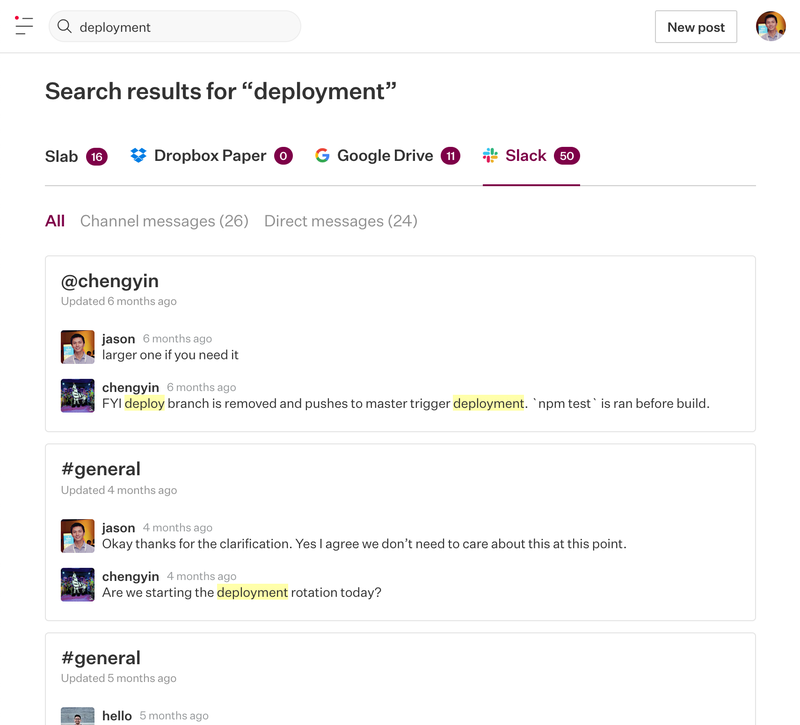 This is why, in addition to other services, you can connect Slack as a search destination in Slab. Each team member needs to opt into this individually, and we will only show you messages you already have access to! 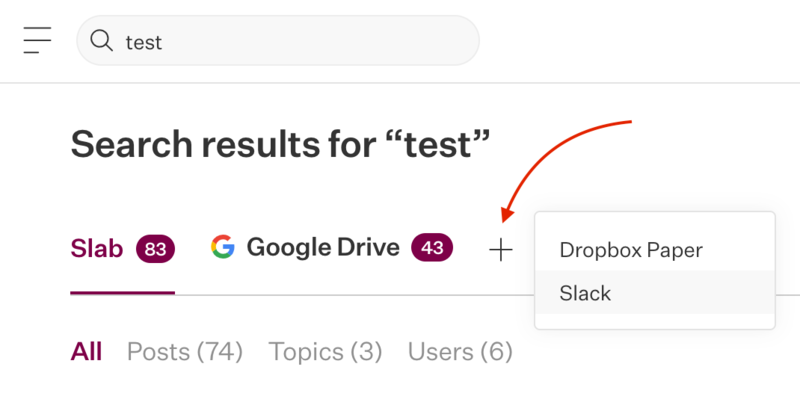 To add Slack as a search destination, enter any query and in the results page, click on the + button in the search toolbar. Each user needs to authorize this separately. You don't have to remember to add every new hire to Slab each time. 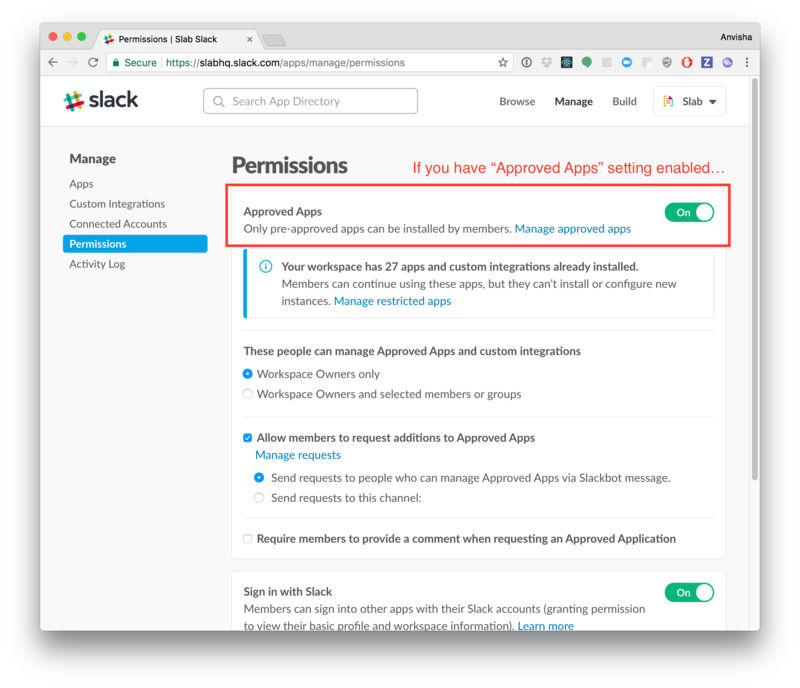 You can enable Sign in With Slack to allow people on your team access.